Mad Catz' L.Y.N.X.3 gives new meaning to mobile games. Physical controls outperform those that force you to touch your screen. And since this mobile controller folds up, you can take it with you and play anywhere. You even get a smartphone clip that docks your device to the top of the controller. Ideal for everyday use, L.Y.N.X.3 is the perfect gateway to mobile gaming on Android. 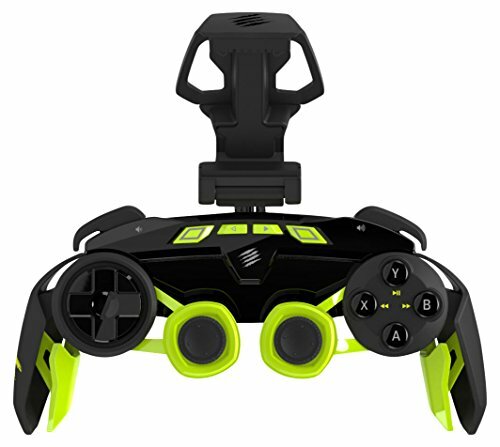 If you have any questions about this product by Mad Catz, contact us by completing and submitting the form below. If you are looking for a specif part number, please include it with your message.